Hopefully by now you’ve had a chance to read our review of Grand Theft Auto V. Spoiler alert; we loved it. Our review only covers the single player element of the game. Why? Because multiplayer hasn’t been made available yet. Rockstar is planning to release Grand Theft Auto Online, the multiplayer arm of this iteration in the GTA universe, on October 1st. They’ve been pretty quiet about what to expect from this online experience…until now. Rockstar recently dropped a big pile of details regarding what you can do in Grand Theft Auto Online and how it will work. We’ve decided to grab some of the most exciting and important bits from the full post. 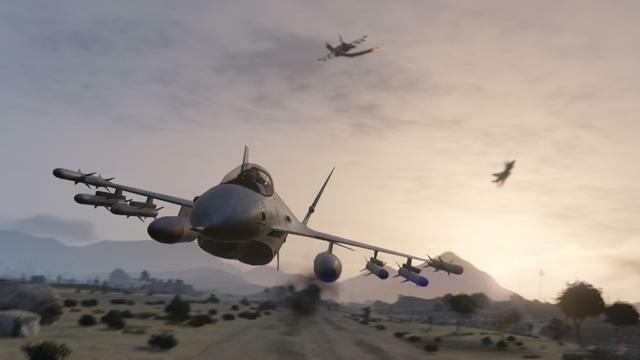 Rockstar intends to support and shape the Grand Theft Auto Online world from day one on well into the future. They also indicate several times that they expect plenty of “teething” and “growing pains,” read that as server issues and bugs galore. This is an online and open world game. Things will go wrong. 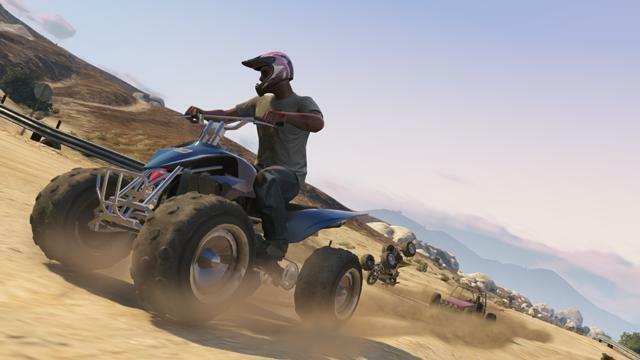 Grand Theft Auto Online will let you play sports, take in movies, pull off jobs, race, host death matches and, generally, explore. It’s an up-to-16-player madhouse, and the whole thing is built around player reputation earned through activities. Rockstar also announced a few content packs. Each of these are completely free and coming in the next days, weeks and months. Man. Heists in Grand Theft Auto Online!? That’s going to be awesome. 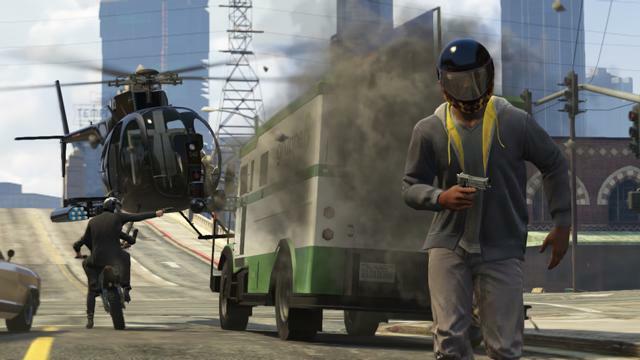 Finally, yes, Grand Theft Auto Online will have microtransactions. 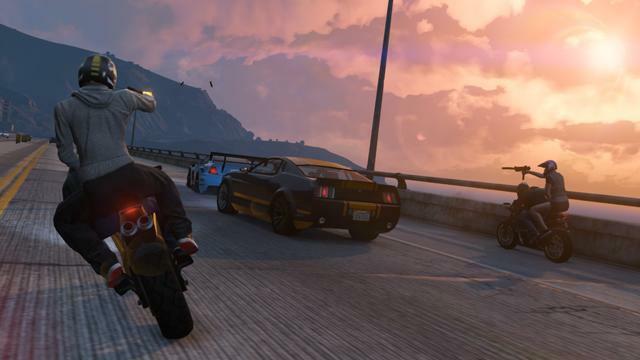 Rockstar insists that the paying gamers won’t affect the economy of its open world. Here’s what they offer. In free-to-play and premium games, most players hate nothing more than the pay-to-win attitude some gamers take. 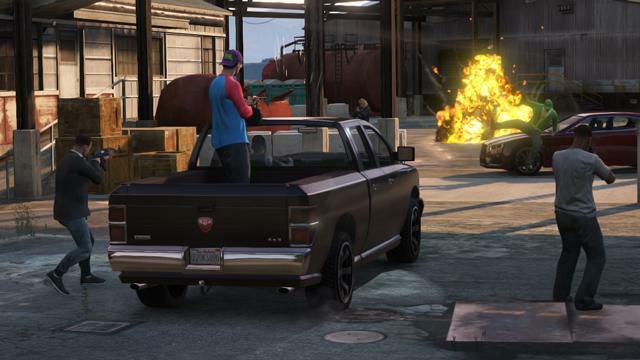 Let’s hope Grand Theft Auto Online doesn’t introduce that type of economy to the GTA universe. Grand Theft Auto Online drops on October 1st. What are you most excited to do?